Hello gang. 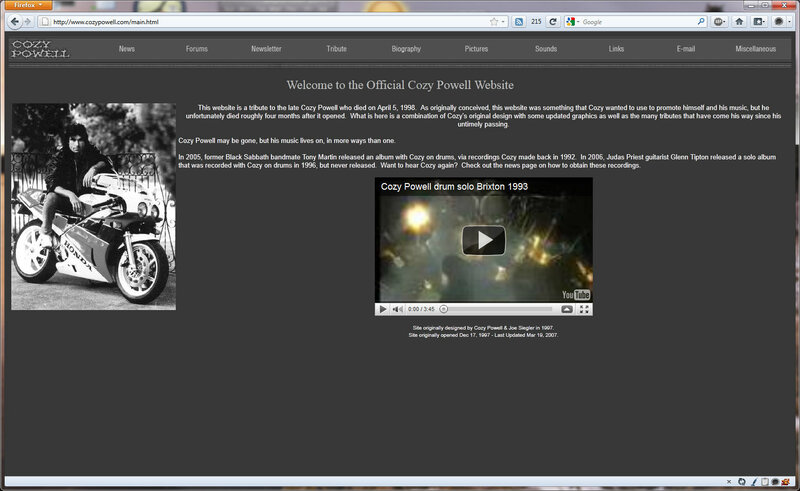 After quite a long time, I’ve decided to clean off the dust on the Cozy Powell website, and slap on a fresh coat of paint. You can now leave comments on the news stories here, or on the albums in the discography. Each discography item has it’s own page, and they’re listed in date order starting with the most recent first. I also verified all purchase links. The old videos page is gone, replaced with a video “slider” on the front page. The old forums are gone. I did that because the software was old, and the company that made it sold the product, and I wasn’t willing to keep up with it anymore. I’ve exported the forums to a new location that look like the old ones but don’t actually work. You can’t post or login or anything, it’s just an HTML mirror. I’ve added a new Twitter Feed. Link is on the top of the page next to the menu bar. I’ve added a new Facebook page – that is the intended place to replace the forums for Cozy Powell discussions. Link is on the top of the page next to the menu bar. I’ve also added a couple of new pictures, but the one that I’m most proud of getting on here is a photo of Cozy’s kit in Tony Iommi’s house. If you remember, when Black Sabbath (with Dio) reconvened to record the three new tracks for the “Black Sabbath: The Dio Years” compilation, Bill Ward was originally going to participate. He bowed out, and they had to get Vinny Appice over to England in a hurry to play the tracks. So quick that they couldn’t arrange for his gear to come. So Vinny ended up playing the kit that is in Tony Iommi’s home studio, and that kit used to be one of Cozy Powell’s old kits. I asked Tony Iommi’s manager if Tony could go snap a picture of the kit for the site for something “new” to have. I’m pleased to say that Tony Iommi honored that request, and sent along the photo that you see below (and in the photo gallery). Ultimately, given Cozy has been gone now for 13 years, there won’t be little new here, but if there is anything new, this will be the place for it. I wanted to thank several folks who were helpful during the relaunch project. They are Thijs Leenders, Joe Geesin, Neil Murray, Dave Ball, Ralph Baker, & Tony Iommi. Each of you contributed something to the new relaunch. Let me know what you think of the new coat of paint in the comments below! fantastic! 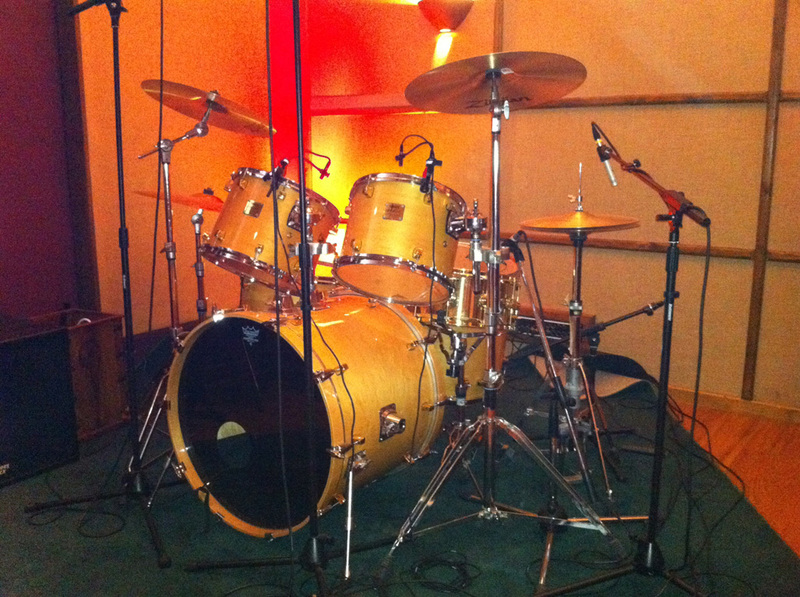 see this drum kit here and think that Cozy have played many jams sessions whith Iommi! 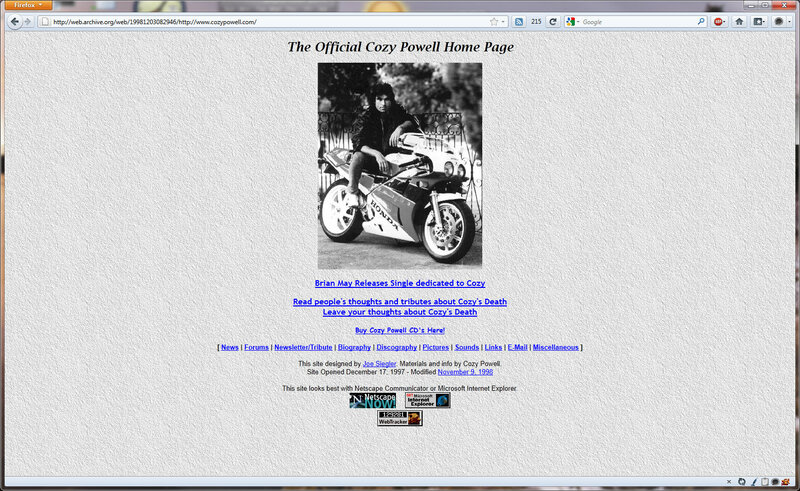 Ok man, go ahead with this website and keep the memory of greatest drummer of world: Cozy Powell! My name is Raoni, I’m from Brazil! Cozy obviously attracted greatness and created greCozyat music wherever he went. A long-time Iommi, Blackmore, Dio and Malmsteen fan, I didn’t know he played with Jeff Beck before Rainbow, and Brian May before Yngwie. The circle of musicians he was in is EXTRAORDINARY. I look forward to listening to other projects he’s been involved with through the decades! He’s like the Rudy Sarzo of drummers! Thank you for keeping his musical memory alive! In Cirencester tomorrow, Thu 7 Jan 2016, the Town Council with Cirencester Civic Society Brian May is unveiling a plaque in memory of Cozy outside the Corn Hall in the Market Place. Cozy was born here and played in a local group in his early days. Several other of Cozy’s old friends will also be there.